Fight dandruff outbreaks with Nizoral A-D Anti-Dandruff Shampoo. 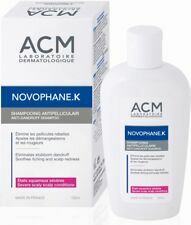 It combines the effectiveness of ketoconazole 1%, a proven dandruff-fighting ingredient, with salon-tested gentleness. oz bottle of Nizoral A-D Anti-Dandruff Shampoo with ketoconazole 1% for dandruff relief. Nizoral/Ketozal Anti-Dandruff Shampoo 2% 60ml. Rinse thoroughly. Do this twice weekly. Discontinue use if irritation occurs. Active ingredient: Ketoconazole. 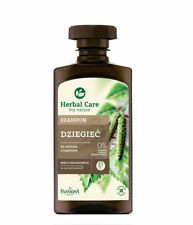 Nizoral/Ketozal Anti-Dandruff Shampoo 2% 60ml. Active ingredient: Ketoconazole. 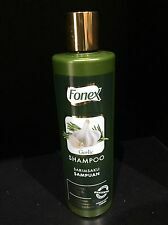 FONEX GARLIC SHAMPOO HELPS AND PREVENT HAIR LOSS 375ml Thanks to the natural garlic extract content it helps prevent hair loss and dandruff when used regular and continuously. Contains provitamin B5 which gives hair a shiner and healthier look and feel. DOES NOT CONTAIN GARLIC ODOUR,SMELLS LOVELY ! After massaging into your hair leave it for 3-5 mins and rinse it . Free P&P Ps if you like to buy a more then box fur your shop contact us please on. Prevent dandruff, reduce irritation and stimulate hair growth with Alcepin Dandruff Killer and Caffeine Shampoo Duo. 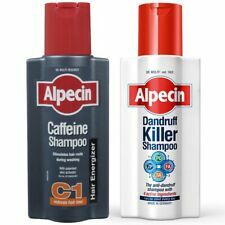 1 x Alpecin Dandruff Killer Shampoo (250ml) Designed with four active ingredients which work together to combat and prevent dandruff, the Alpecin Dandruff Killer shampoo promises to leave the scalp soft, soothed and flake free. 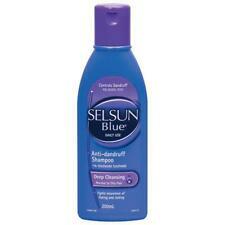 Selsun Blue Anti-Dandruff Deep Cleansing Shampoo (For Normal To Greasy Hair). Rinse thoroughly from the hair before colouring, bleaching or perming. Clears Dandruff, Fights Itch. Wet hair thoroughly. 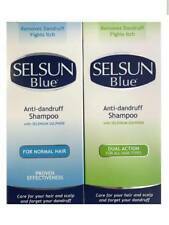 Selsun blue is an anti-dandruff shampoo containing a 1% solution of selenium disulphide - a substance that inhibits excessive exfoliation, redness and pruritus. Contains washing and nourishing substances that make your hair look healthy and clean. Selsun Gold is specially formulated with Selenium Sulfide 2.5%, proven to not only remove dandruff, but also to slow down the rate our skin produces new skin cells; which is the basic cause of flakes and itchiness. How to use: Apply to the wet scalp before using shampoo. Gently massage the scalp for 2-4 minutes. Rinse the product thoroughly with hair. Wash your hair with shampoo Hair Growth by Dermofuture. Used regularly, it improves the condition of the scalp and hair. Intensive triple-action scrub deeply purifies the scalp and prevents hair loss by increasing blood flow to hair follicles. Balances sebum production and prevents dandruff.Vitamins and amino-acids i n the formula nourish and repair hair whileAltai sea-buckthorn andamaranth oils help produce keratin, which gives hair strength and shine.Marigold, wild Siberian mint andwood sorrow revitalize scalp and nourish hair roots. 200ml EACH. 2 X HEAD & SHOULDERS ANTI-DANDRUFF SHAMPOO. SMOOTH & SILKY. It combines an anti-dandruff performance to a beauty action. Its vegetable complex (black pepper and Guyane wood), is here combined with salicylic acid, olamine piroctone, willow extract (38%), to sanitize the scalp and soothe. 2 X HEAD & SHOULDERS ANTI DANDRUFF SHAMPOO. 200ML EACH BOTTLE. COOLS & ENERGIZES SCALP. L'OREAL ELVIVE PHYTOCLEAR ANTI DANDRUFF SOOTHING SHAMPOO. 400ML EACH BOTTLE. SENSITIVE SCALP. Rinse thoroughly. Use in conjunction with Dandrene Shampoo to maximize results and reduce itching and flakes. Eliminates the constant scaling, scratching, redness, grease and odor associated with dandruff while maintaining manageability and shine. Fight dandruff outbreaks with Nizoral A-D Anti Dandruff Shampoo. Vast majority of the products will arrive anywhere between 4 to 7 weeks if not sooner. make you happy. 100% Soap And Alkali Free. Stablisers The Skin'S Natural Balance. Ideal For Sensitive And Healthy Skin. Inhibits Bacteria Unique After Washing Feeling. Available In Over 50 Countries. Not Tested On Animals. Anti Dandruff Shampoo. In dandruff and seborrhoeic dermatitis, it is administered twice a week for 2-4 weeks. The shampoo is applied to damp hair, rubbed to reach the skin and stays for 3-5 minutes, then washed with water. Dandruff is a serious problem that many people suffer from. Factors that may cause it to be over-secreted sebum, scalp inflammation or fungal infections. Knowing this, "Clear" specialists create a shampoo that successfully fights dandruff. What Causes Dandruff?. P. ovale is a fungus found on every human head. Climate, heredity, diet, hormones and stress impact how your body reacts to it. For dandruff sufferers, the natural process of scalp-cell renewal is accelerated when fighting off P. ovale, causing dead cells to fall off faster. Treat and prevent dandruff. 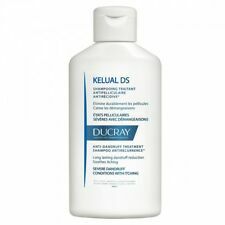 Uses: For relief of flaking, scaling and itching associated with dandruff. Wet hair, lather, massage onto scalp. Rinse and repeat if desired. Condition and nourish hair from follicle through entire shaft. 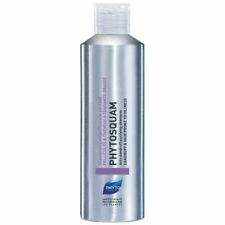 FITOVAL SHAMPOO - 100ml Anti-Dandruff. Zinc pyrithione significantly reduced the fungus Malassezia and maintain normal epidermal keratinization, and the formation of sebum. It has a prolonged action against fungi, which enhances its effect. Use twice weekly at first, then as necessary or as physician directs. Rinse thoroughly. Repeat daily for 1 week or as physician directs. Massage into wet hair and rinse out. For optimal results, - Use regularly in combination with BC Scalp Therapy Anti Dandruff Fluid. Gently purifies the hair and scalp by removing dandruff flakes. ZIAJA ANTI- DANDRUFF HAIR SHAMPOO. WITH BLACK TURNIP EXTRACT. Black turnip extract. - a substance having a high efficiency in dandruff removal. Eliminates dandruff and prevents its recurrence. 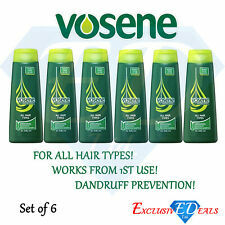 as an intensive reduce dandruff care. Product line: Planta clear. Produktlinie Planta Clear. 1 against dandruff. Apply to wet hair. The scalp and hair will be instantly fresh and pure. For a shiny smooth hair. for the scalp. Hair type: Oily Hair. Product line: Planta clear. Produktlinie Planta Clear. 1 against dandruff. Apply to wet hair. The scalp and hair will be instantly fresh and pure. For a shiny smooth hair. for the scalp. Hair type: Normal hair. 250ml EACH. STRENGTH BOOST. DOUBLE ACTION. ANTI-BACTERIAL ACTIVE. Tea Tree Oil is a known anti-fungal agent which effectively treats dandruff. Tea Tree Oil is an excellent anti-dandruff agent. For best results, shampoo hair with Himalaya's Anti-Dandruff Shampoo. 100ml Note : Image of actual product may slightly vary. Contains: Salicylic Acid, a highly effective dandruff prevention ingredient. Contains: 3 x 250ml Bottle. Simply apply to damp hair & scalp, massage in and ideally leave on for a minute, then rinse thoroughly. Optima Australian Organic Tea Tree Oil Anti-Dandruff Shampoo 250ml PLUS Tea Tree Conditioner 250ml. Massage into wet hair and scalp, lather and rinse thoroughly. For optimum results use Australian Tea Tree Ultimate Nourish Conditioner. Koncentrat likwidujacy lupiez. Niweluje lupiez i zapobiega jego nawrotom. Kompleks Biostatic Antidandruff 4HC – skutecznie eliminuje objawy lupiezu. Hamuje i ogranicza rozwój drobnoustrojów wywolujacych lupiez. Their affectiveness have been scientificaly established of yeasts (tyoe malasseza) principal cause of dandruff. Severe pellicular states, squamous states of the scalp, itchings and rednesses of the scalp. A anti-dandruff shampoo gently clears loose flakes and soothes the scalp. Massage gently and rest 3 minutes and then rinse thoroughly with lukewarm water. All Skin Type. It is formulated with natural, herbal ingredients to strengthen the hair and scalp. With Added Nourishing Tea-tree Oil. Hair and Shine anti-dandruff shampoo with added tea-tree oil is known to help to unclog hair follicles and nourish your roots. Anti-dandruff Shampoo. 3 X Fonex Garlic shampoo For Hair loss 375ml free Delivery FONEX GARLIC SHAMPOO HELPS AND PREVENT HAIR LOSS 375ml Thanks to the natural garlic extract content it helps prevent hair loss and dandruff when used regular and continuously. Contains provitamin B5 which gives hair a shiner and healthier look and feel. DOES NOT CONTAIN GARLIC ODOUR,SMELLS LOVELY ! After massaging into your hair leave it for 3-5 mins and rinse it . Free P&P THIS LISTING IS FOR 3 SHAMPOOS IN TOTAL SAME DAY DISPATCH WITH FREE POSTAGE& PACKING.